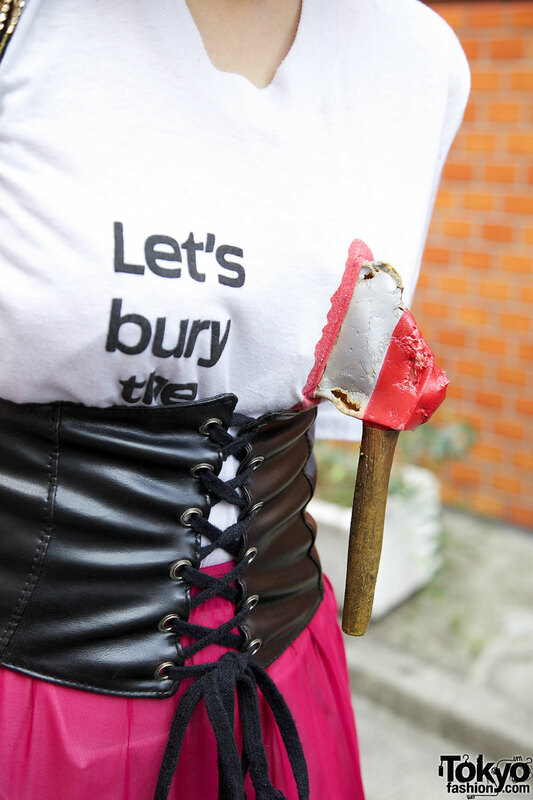 Sae is a 17-year-old student with blonde and green hair who’s incorporated a sense of humor into her outfit in the form of a t-shirt from MeMe’s Park that says “Let’s bury the hatchet.” Yes, that’s an actual toy hatchet protruding from the chest! She’s also wearing fuchsia chiffon pants from American Apparel and a wide black corset-style belt. 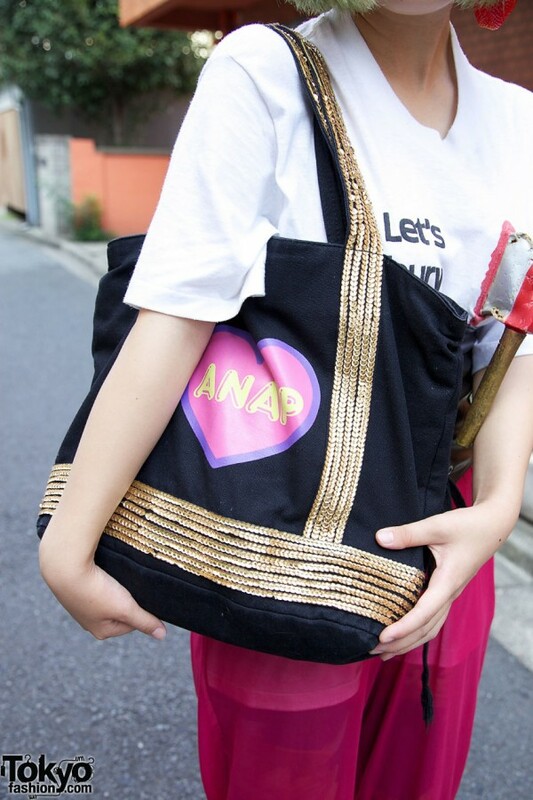 Sae’s accessories include a strawberry earring and a black sequin-trimmed tote bag from ANAP. Her suede platform shoes are from Tokyo Bopper. When we asked Sae about her favorite designer her answer was Vivienne Westwood. You can find out more about Sae’s activities on twitter. I gotta make myself a “lets bury the hatchet” t-shirt! !